p(green). This drawing has closed—Congratulations to the two winners, Zippy Sandler from Florida and Daniel from London (UK). Thanks for entering who entered and told us some very interesting little stories. 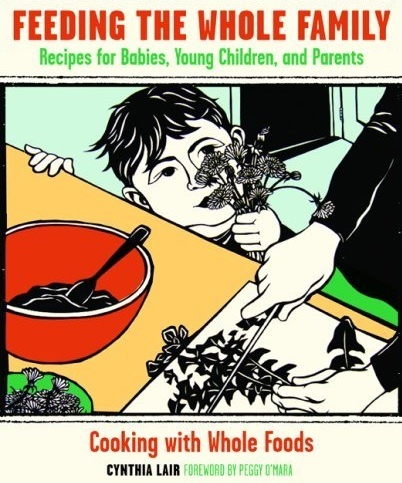 Between Friday, March 21, and noon PST on Tuesday, March 25, 2008, enter to win one of two copies of Cynthia Lair's cookbook Feeding the Whole Family. 1) Sign up for Culinate's weekly e-newsletter and validate your new subscription via the email sent to you. 2) Leave a comment on Cynthia's Emerald City Salad recipe telling us about your experiences feeding children. All new, validated newsletter subscribers and recipe commenters will be combined into one pool, from which two names will be drawn. The week's winner will be listed on this page once selected and confirmed.